Whether you’ve just moved into a new home, or if you’re thinking about renovating the house you’ve lived in for years, sometimes a little bit of change can be a great thing for you and your family. 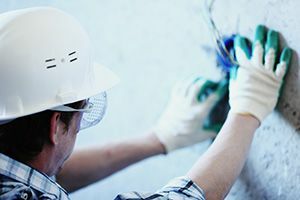 If you’re looking for a decorator to give your home the professional touches that it needs then why don’t you get in touch with the professional decorators at Handyman Services Handymen? If you want to find a company that has years of experience, reliable team members and the efficiency to get the job done quickly, then we’re by far the best company in the area for you! We have just what you need for your decorating needs, whether you want someone to wallpaper your living room or if you need someone to paint your bathroom, you can’t go wrong with the professionals from our company! It’s easy to find out more about the ways in which we can help you – simply pick up the phone now and give our company a call on 020 8610 9016 to find out everything that you need to know about hiring decorators from us, including prices and a full list of our available services. When it comes to decorating your home or office you definitely don’t want to cut corners! 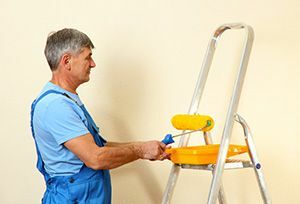 If you choose to do the job yourself or if you hire unprofessional decorators then you might have to deal with misaligned wallpaper or paint marks on your ceiling for a long time to come! If you hire your decorator from our company then you can avoid amateur mistakes such as these and get the professional job that both you and your home deserve! Thanks to our experienced team members and our top-of-the-line decorating equipment, we can make sure that your home is decorated and designed to the highest possible standard. We only hire the best and most dependable workers with the skills and talents that you need for your home or office, so that you can avoid disappointment and get the most for your money! Why not give us a call today on 020 8610 9016 to find out more information? It’s great when you find the decorators and handymen that you need for your home or office, but what happens if you’re trying to stick to a budget, or if you want to keep your costs to a minimum? If you hire help from our company then you won’t need to worry about this! We work hard to bring you prices that can suit practically any budget, and we try to stay as competitive as possible so that you’re always getting the best value for money! Even if you’re on a budget you won’t have to compromise on the quality of your hired decorators if you choose to hire them from our company, and it’s all thanks to our low prices! Everybody wants their home to be stylish and immaculately presented, and if you hire the experts at Handyman Services Handymen to help you with your painting and decorating then you can finally have the home or office that you’ve always wanted! Our teams of experts work quickly and efficiently to leave your home or office looking better than you could ever imagine – without costing you the earth! We’ve helped lots of people with their decorating and we never leave a job looking anything less than perfect. Call us today on 020 8610 9016 for a price quote and for more information!